Email marketing was one of the first channels used in digital marketing. However, this doesn't mean that it's no longer of value. Perhaps you're an SME or a start-up with a limited budget. 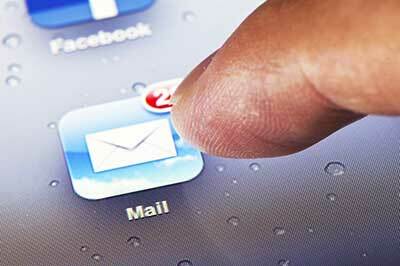 Email marketing is a great, low-cost way of getting your message out there. So why should you give it a try? So should you use your existing contact list or buy one in? Your own list will be of more value and the recipients are likely to be good prospects, and possibly even 'warm'. Bought lists can be very expensive and may not be as targeted as your own. Don't forget that it's illegal to send unsolicited emails, so your contact list should have 'opted in' to contact - for example by signing up to a newsletter or entering their business card into a draw at an exhibition. Try using a free, third-party email provider like MailChimp. It's free to send 12,000 emails to 2,000 subscribers so is a great starting point. We also love Campaign Monitor, although they charge small monthly fee. Give us a call if you need help putting your email together - even if you're already using MailChimp or Campaign Monitor, a well-designed email newsletter will have much more of an impact and a higher click-through rate than one put together by a beginner!